There are terms and definitions in web design and development that are a standard in the industry. Knowing some of these could help you "talk the talk". 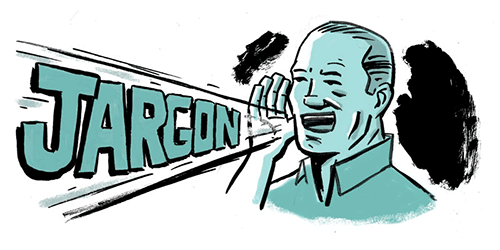 This glossary of the most used industry terms should help you understand most acronyms. You don't need to know all of them, but take a few minutes and familiarize yourself with some of them. A permanent redirect to a different website or page. Normally used for newspapers, this refers to your website content that is visible on initial load. Without any type of vertical or horizontal scrolling. Giving your website the ability to be usable by people with disabilities. This includes visitors with impaired vision, screen readers, and color blindness. Hosting a domain name on the same hosting account of another domain name. Text that is used in a hyperlink. Open source web server software. Hosting server that will support Active Server Pages. A server-side coding language that Microsoft developed. The side of the website that is hidden to regular users. The back end usually renders site structure and applications. A hyperlink that is from an external site that is direct to your site. Measured often in kilobyte per second (kbps). How much data is uploaded and downloaded to your server. A percentage of people that leave your site what enter on the same page. If a user doesn't venture further into your site and leaves, this will increase your bounce rate. A small navigation usually at the top of pages. Showing which categories you have navigated through to get to the current page. A way to share information or have a personal online diary. Blogs will combine text, image, videos, and other functions of multimedia. A backend application to manage your site's written content. Making your website's design the same in all major internet browsers and operating systems. Cascading Style Sheets, a coding language used to hold all design and layout information. A server that only hosts your website. IP Address to a single site. The amount of hard drive space available on the server for your account. Domain Name System, a directory that translates IP addresses and domain names. The name of a particular site (ex. webhostdesignpost.com). Developed to simplify site addresses. Securing a domain name for future use. A page that can change or interact without a page refresh or redirect. Also known as a shopping cart. Used to sell products, good, or services. What is an E-commerce Store? A unit of measurement for sizing fonts and others elements in CSS documents. Virtual sending content, images, or files to another person. A small "logo" displayed in the internet browser bar. A security hardware and/or software application that will prohibit unauthorized activity and access to your computer or network. A website width that doesn't adjust depending on the browser resolution. It is set by the designer and does not change. *Discontinued* A client-side application that consists of videos, games, graphic and interaction. Owned by Adobe. Use to identify your typeface in your CSS documents. A series of available fonts to be rendered. Hosting Company that will offer service for no cost of money. Usually, lacks features and professionalism. Your web page as your visitors views it. This consists of content, images, videos, and other multimedia elements. File Transfer Protocol used to transfer files over the Internet. Used to publish and upload files to servers. A company that specializes in hosting and leases server space. Hypertext Markup Language, most common web programming language. Used on the client side of development. A link from one web page to another. This can be used for internal or external usage. An application used to visit websites on the internet. The most common browsers are Google Chrome, Firefox, Internet Explorer, and Safari. Connecting multiple computers to a local network. Internet protocol address. A series of numbers to identify a computer on a network. One of the most used web programming languages. Used to make web pages more interactive and dynamic. An open source application for servers that consists of Linux, Apache, MySQL and PHP. The page your visitor sees when entering your website. Custom landing pages are mostly used for marketing and selling purposes. A website layout where the width can change depending on the user's browsers resolution size. Hosting Company that will support the open source Linux Operating System. A development server-side database coding language used to store information. Computer software that is issued an open source license. Making the software free to the public and not to be disrupted for a profit. A statistic used when a visitor views your web page. Hypertext Preprocessor, a development server-side coding language used for dynamic pages. Used to communicate with database languages such as MySQL. Know as a pixel, is used to determine size in CSS based a pixel density. Automatically sending a visitor to a new page or site. Really Simple Syndication is a standardized form of XML. Used for the user to subscribe and receive content updates. A web programming framework used to eliminate common tasks in web development. Create sites faster with less code. Search Engine Optimization, how your page will rank on search engines. An acronym for search engine result page. This is coding that runs on the web server. Examples of this are form processing and credit card transactions. Secure File Transfer Protocol used to transfer files over the Internet. Used to encode files for an extra level of security. Hosting companies that will use the same IP address for multiple websites. How many visitors and data your page is distributing. A statistic by hosting companies that determine a how often their server is running. The Domain Name or directory of a site. How your website interacts with our users. Such as your navigations, content readability, and ease of use. World Wide Web Consortium organization that have set validation standards for page content. A person that is responsible for the visual aspect of a website. Controls most aspects of your client side. A person that is responsible for programming and creating applications, layouts, and designs. Leasing server space from a company to develop your website. A page on your site. Usually written in HTML with the .html extension. A hosting company that will support Windows Operating System. Use for ASP coding language. Extensible Markup Language markup used to define rules for encoding documents.